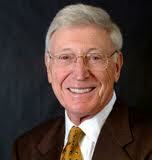 Bernard Marcus is a co-founder of Home Depot. The store revolutionized the home improvement business with its warehouse concept and the three became billionaires as a result. He was the company’s first CEO for 19 years and served as chairman of the board until he retired from active participation in the Home Depot in 2002. Marcus almost single-handedly funded and launched the new Georgia Aquarium that opened in downtown Atlanta, Georgia in 2005. Based mostly on the US$200M million donation for the Aquarium, Marcus and his wife, Billi, were listed among the top charitable donors in the country by The Chronicle of Philanthropy in 2005. Bernie Marcus also funded and founded The Marcus Institute, a nationally recognized center of excellence for the provision of comprehensive services for children and adolescents with developmental disabilities. In May 2005, Marcus was awarded the Others Award by the Salvation Army, its highest honor. Marcus is currently chairman of the Marcus Foundation, whose focuses include children, medical research, free enterprise, Jewish causes and the community. Mr. Marcus was inducted into the Junior Achievement U.S. Business Hall of Fame in 2006. In 2009 Marcus was inducted as a Georgia Trustee, an honor conferred by the Georgia Historical Society and the Office of the Governor.